DTS Attorneys is a young, dynamic and service focused law firm established in 2006 and based in Port Elizabeth, South Africa. DTS Attorneys values its reputation as a legal firm of integrity and excellence. DTS Attorneys focuses on commercial law, conveyancing, property matters and related legal services. 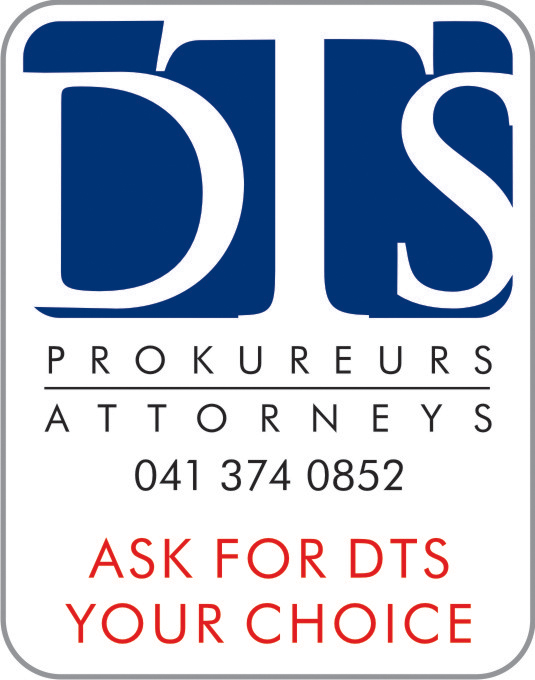 We, at DTS Attorneys, provide our clients with a hands on approach, personal attention, practical advice and pro-active solutions. We strive to provide outstanding service to our clients and take pride in abiding by the strict ethical codes of our profession. Our firm is centrally located at 108 Cape Road in Port Elizabeth, South Africa. Our office is equipped with the latest technology to offer clients the best possible service. Our directors have significant expertise in the areas of commercial law, property transactions, conveyancing/transfers, notarial work and litigation in both the Magistrate and High Court. Our paralegal staff compliment is highly qualified and motivated to provide exceptional service.